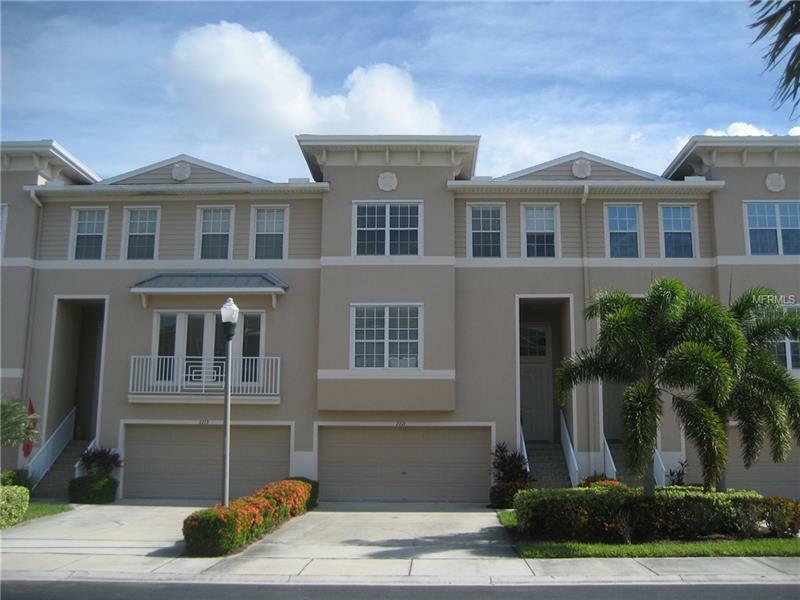 This beautiful tri-level townhouse is located in the gated waterfront community of Seminole Isle. This is a bright and well cared for home with wood floors, high ceilings and crown mouldings. The open floor plan has family room and dining room open to the screened porch which overlooks the pond and fountain with the spacious kitchen open to the main living areas making this a great area for entertaining. The eat-in kitchen offers Corian countertops, stainless steel appliances, island, built-in desk, breakfast bar and pantry. The master bedroom is on the third level and has a French door entry, walk-in closet and master bath with dual sinks, garden tub and large shower. The previous owner took down a wall and made the two other bedrooms one large bedroom with a spectacular walk-in closet. The laundry room is located on this level as well as a loft area that can be used as an office space. The garage is large enough for 4 car tandem parking and opens to a larger screened porch with access to the back yard area. This home comes with accordion style hurricane shutters. The Seminole Isle community is great for a year round lifestyle with walking paths, boat house and launch area for kayak, paddle boards or canoes, beach area, picnic lanais, fishing dock, tennis courts, fitness center, club house with a full kitchen and beautiful, tropical pool area.